Wherever we went in our truck, the people we’d pass would wave and smile and yell “Jambo!” as we went by. No matter what they were doing; I even saw one woman carrying more branches than I could ever possibly imagine, yet she still managed to raise a hand in greeting. (and not drop everything she was carrying in the process!) Children would sometimes run up beside us waving and yelling and then laughing as they fell behind. “Are they saying…’sweet’?” Someone asked. Whoa. None of us knew what to say to that. It just made me glad that there were kids that were smiling at us because of other reasons. Because Free the Children brought clean water, or school, or alternate incomes. I liked that they smiled to us and didn’t expect anything in return but a wave. We were welcomed. The way people see community here is so different than back home it’s truly fascinating. Kate explained that they the people here live is very much like the saying, “It takes a village to raise a child.” Everyone is connected, everyone is included. Even us. The term “Mama” is also apparently used a fairly generic term for “woman”. According to our guides, any woman in the community of child-bearing age is a “mama” and can act as a mama to any child in the community either to care for or discipline. As a result, the children are to treat every mama with the same respect as one’s own mama. 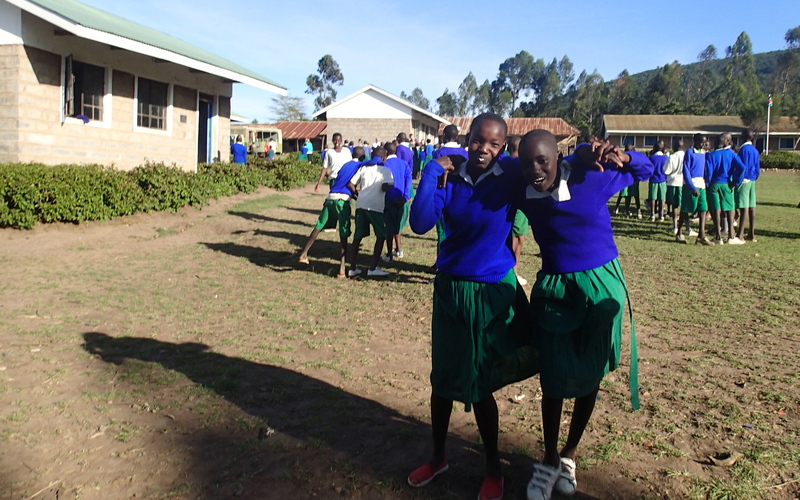 Today, we joined some of the students of Enelerai Primary School after they’d finished for the day. We got a bit of a tour of the school, including the old and new school buildings as well as the library, and then went out to play. They were all so curious about everything from my dad’s tattoos to my camera to some among our group’s blonde hair. After the visit I ended up searching through so many photos of way close up eyes to pictures half covered by hands that different kids had tried to take. These kids loved taking pictures perhaps even more than kids here do as they so rarely get to see their own reflection. 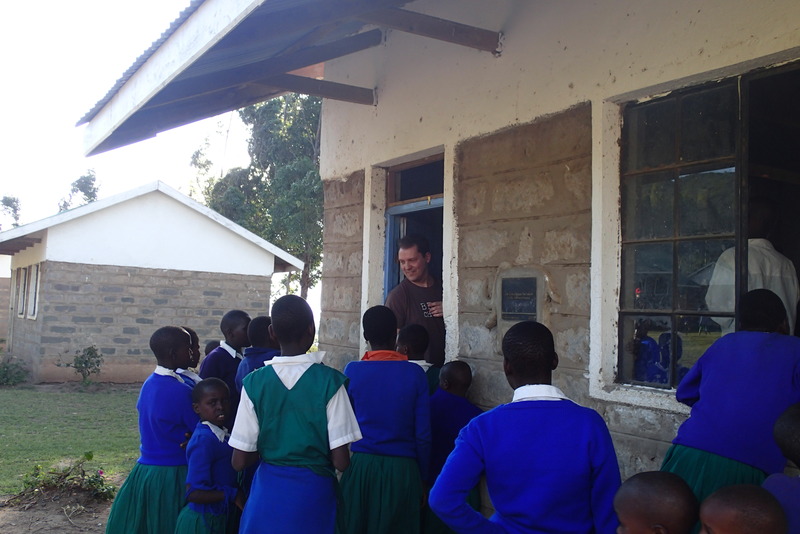 At the entrance to Enelerai Primary School. In the back you can see one of their water projects. A photo of our group sitting in the remains of the old school room. 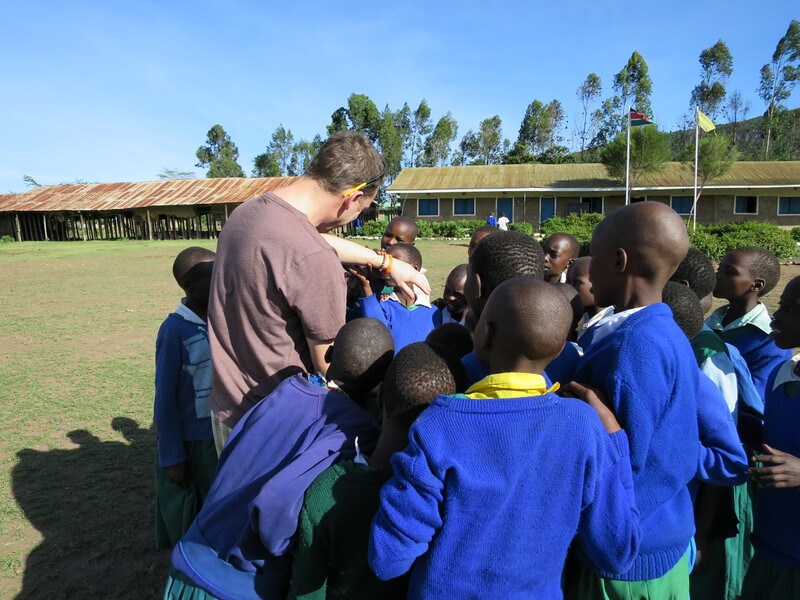 This was the first building here built entirely by the community when they decided they wanted schooling for their children. 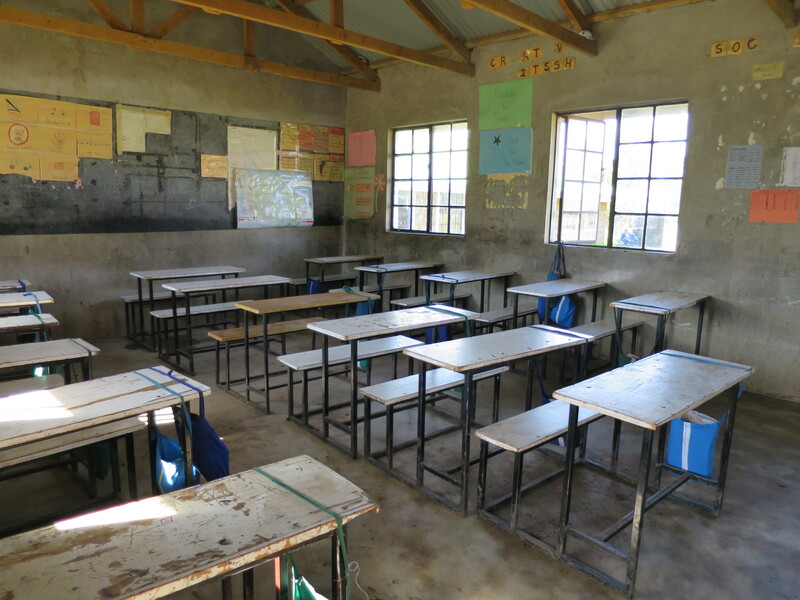 A photo showing the inside of one of the new schoolrooms. Everyone is so sweet and friendly here, but personal space is also really not the same thing it is in North America, for anyone will come up to you and sling an arm around your shoulders or grab you by the hand. That’s when I realized that everyone who had said “You’re most highly welcome here” or “Welcome so much” to me that day had really and truly meant it. “Jambo! What is your name?” They’d ask. I felt so bad not being able to remember all their names, but I met so many people that there was simply no way to keep track of anything at all. You would be introducing yourself to one person and then in a second be meeting someone completely new. Everything was a flurry of people and laughter and smiles. By this time our guides hadn’t had too much time to explain things, so while many of the kids spoke a fair amount of English many things were still lost in translation. There was no way, for example, that I could to explain my dad’s tattoos. “It’s a drawing…a permanent drawing…that’s made with needles…”It just didn’t translate. This part of today is just a blank space in my journal. In other words, completely indescribable. And this is about when my dad began to show the kids some magic. The beginnings of Dad’s audience. 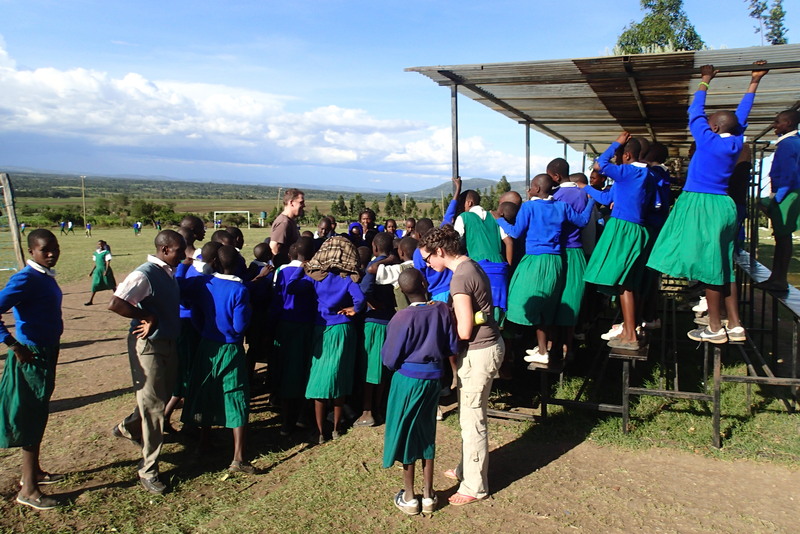 Students climb up the bleachers to try and get a better view of the magic show. He was so completely trapped in that when the time came for us to make our way back to the truck he couldn’t move at all. He would try to ease his way out of the crowd but they just followed him, they didn’t want the magic to go away. It was then that looked over to me and mouthed “Help.”. So, naturally, I took his picture. 🙂 You’re welcome, Dad! My dad attempts to exit one of the schoolrooms while the students asks him for just one more magic trick. Wow! That was really wonderful,i like mood…..